The snow continues to fall and it looks like we are in for a long winter season. 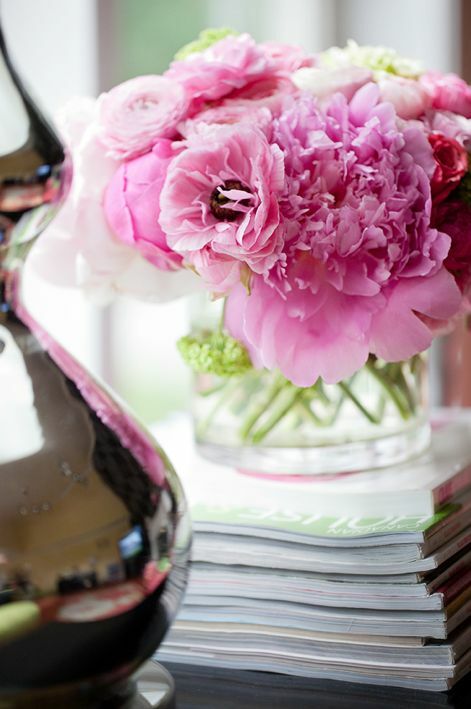 Further to my last post, here are a few more ideas to brighten up your home while we wait for the warmer days of spring to arrive. 1. Add a Tree - With the popularity of the 70's and 80's in décor, large trees are showing up in living spaces and are featured in home décor magazines. One of the most popular tree today is the Fiddle Leaf Fig Tree. These beauties of nature are ideal for filling the spot once occupied by a Christmas tree. I love the large leaves. 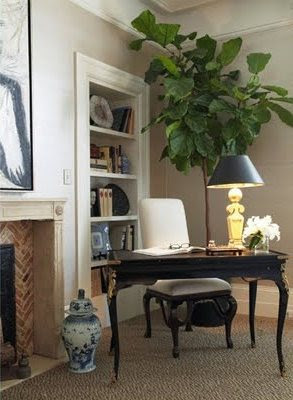 For tips on caring for a Fiddle Leaf Fig Tree click here. 2. 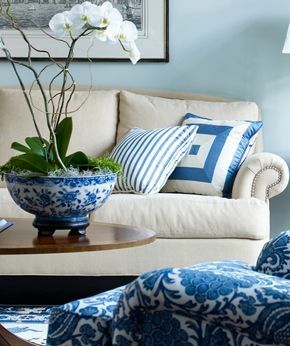 Accessorize with Blue and White Ceramics - Always fresh, blue and white ceramics are on trend. 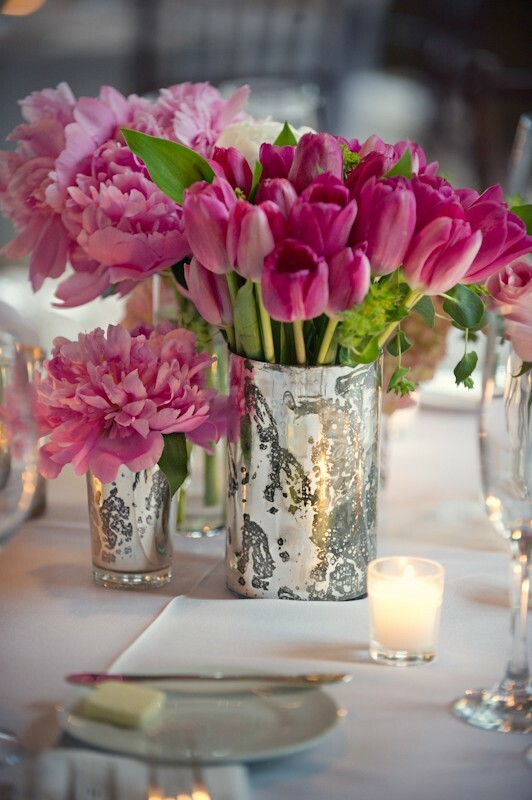 Ginger jars, bowls and plates look fabulous when grouped together. A large bowl planted with a beautiful orchid is a popular accent. 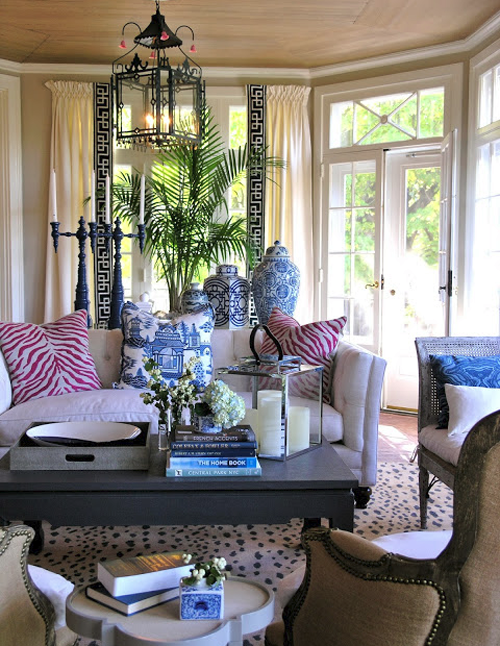 Accent pillows and ceramics in blue and white freshen up a room. 3. 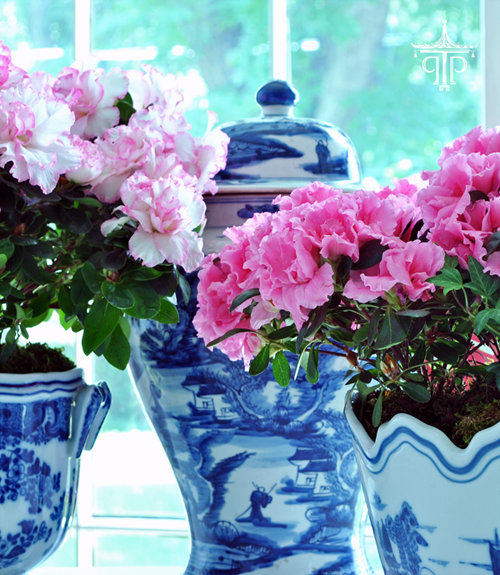 Add Fuchsia Pink Flowers - Fuchsia is bright and happy. What's not to love? 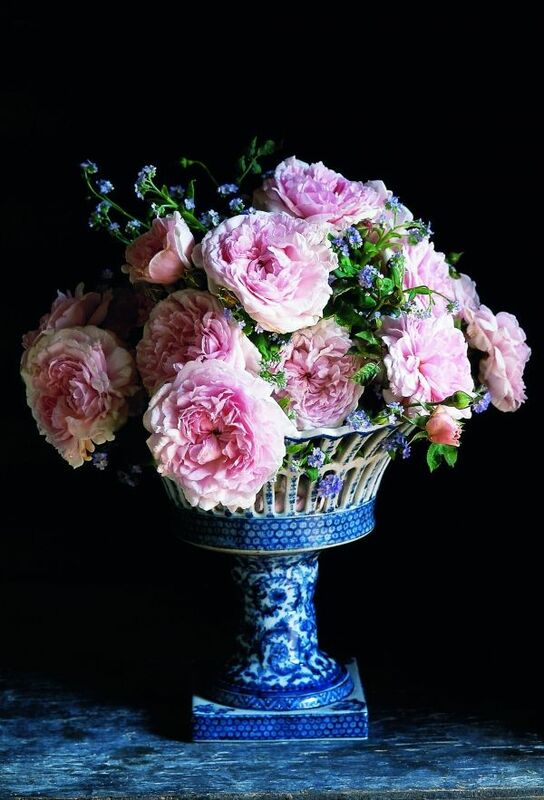 And pink flowers look amazing with blue and white ceramics!